Next week I’m headed home for a book signing in Illinois (which, if you happen to be close to Galesburg, Illinois (a long shot, I know)- come see me!) and spending time with my family over the holiday weekend. There is a part of me that misses the lazy summer months in Illinois (minus the humidity, I don’t miss the humidity). And I miss the sweet corn. I think I offended a few people in California yesterday when I said nothing gets close to midwest sweet corn (because really, and sorry California, it doesn’t). I miss the peaches and cream corn that you buy out of an old, beat-up truck on the corner of the highway. To me, it’s such a summer tradition. These corn cakes have been a summer staple since I started making them a couple years ago. However, I’m on another chipotle and avocado kick so I decided to jazz up the recipe with a pinch of chipotle pepper and a fresh avocado topping. Of course, I highly recommend the roasted zucchini topping from the original as well. Make corn cakes as directed, adding the chipotle powder in with the flour. 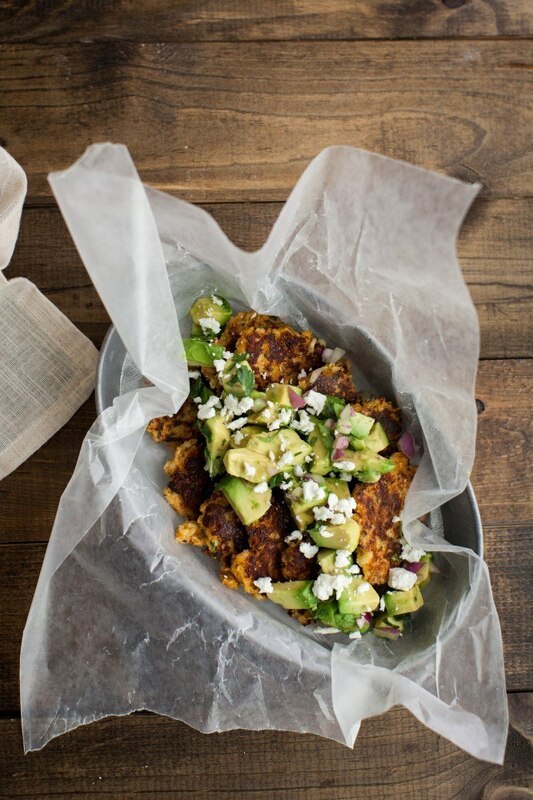 Remove the skin and pit from the avocado and cut into cubes. Toss with lime juice, red onion, cilantro, and salt/pepper. 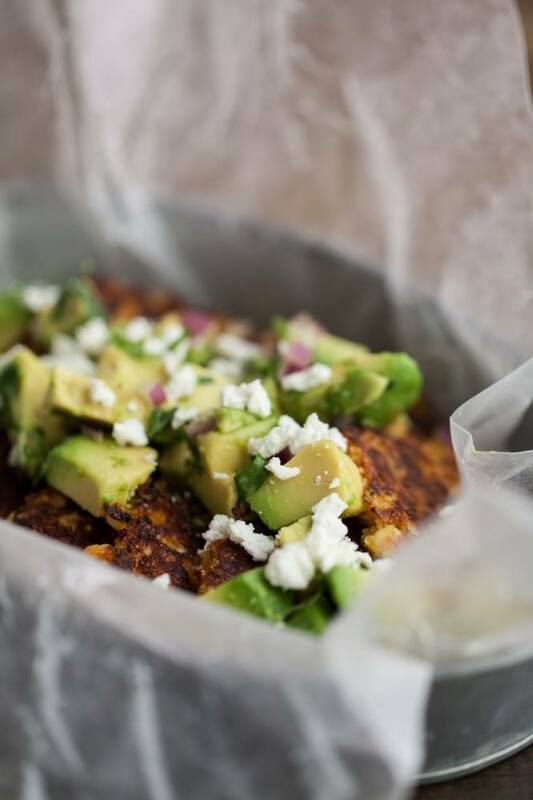 Top cooked corn cakes with avocado and finish with a sprinkle of goat cheese. Oh yum! I LOVE corn cakes with sweet Summer corn, and an avocado topping sounds amazing! 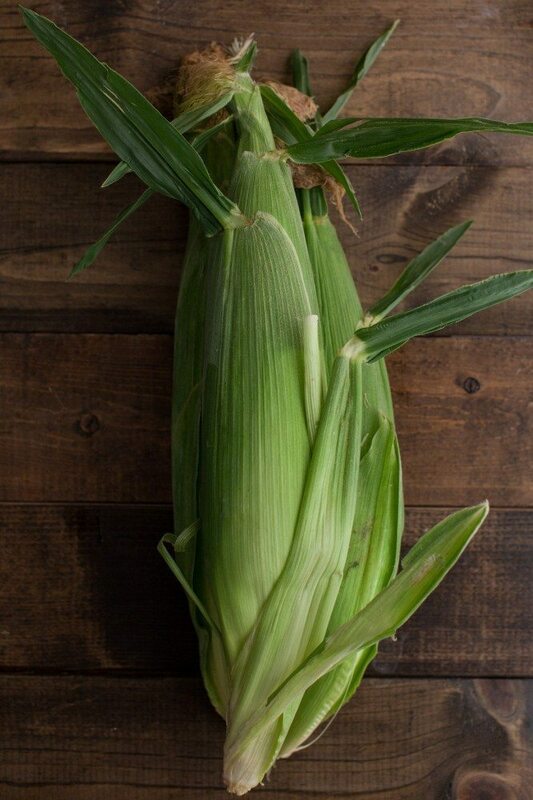 Love these gorgeous pictures of corn! The sweet smell of corn makes it feel like summer 🙂 Would love these on top of some couscous or quinoa! This looks amazing Erin! Love the photography and styling! I’ve left my lovely, creamy avocados plain for too long. Perhaps a sprinkle of pink salt or little grind of pepper, but other than that, nothing. You have inspired me completely. I have GOT to try this at the weekend. I adore sweetcorn cakes. They would be so much better if I, too, could get my corn from the back of a battered old pickup truck. Alas, rural England does not allow this. But I’ll be at the dusty roadside in spirit. I love how simple this is!! So yummy! These look amazing! I am pinning immediately. I grew up in Iowa and now live on the East coast. You are 110% right about the corn. Nothing is better! 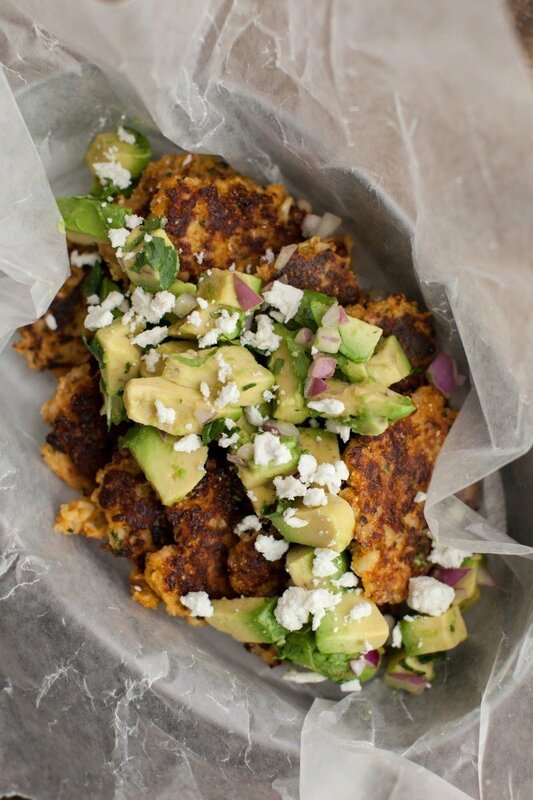 I’m in love with the corn cakes & zucchini salsa recipe so I’ve GOT to try this! Haha well here in NYC, we tend to think NY corn is the best. And it is pretty dang good. 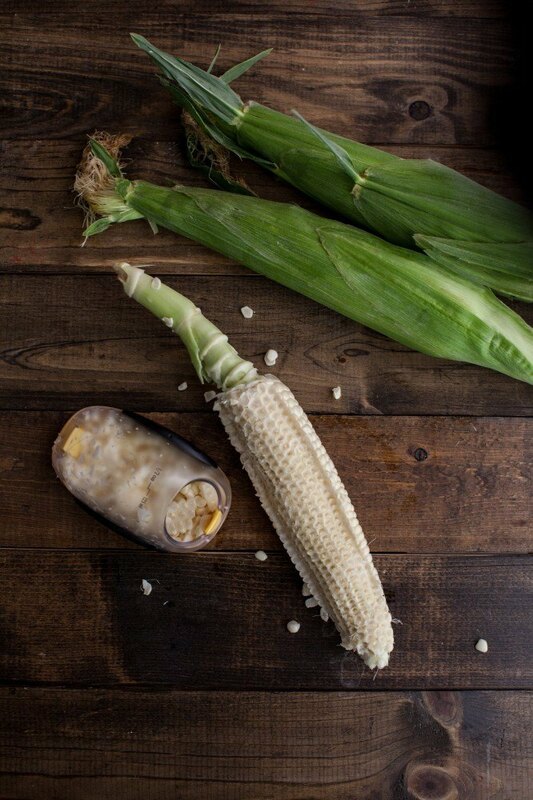 But honestly, so long as it’s sweet enough to be eaten raw off the cob…then I’m pretty content. 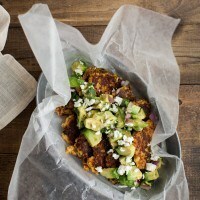 I might have to try a mash-up of your two recipes due to my avocado allergy…chipotle corn cakes with zucchini salsa?! YES. This looks like exactly what I want to eat for the rest of the summer! These were really, really good. I made it with the roasted zucchini chutney/salsa on a day when it wasn’t too hot. I sprinkled some fine cornmeal on each patty so it got extra crunchy and was easier to handle. I’ll be making this again before the fresh corn disappears! Would you be able to make the corn cakes gluten free by substituting gluten free flour or cornmeal? While I haven’t tried it, I’m sure it would work just fine! Thanks! I made them with just cornmeal, worked great! Made this recipe tonight for dinner and it was delicious! 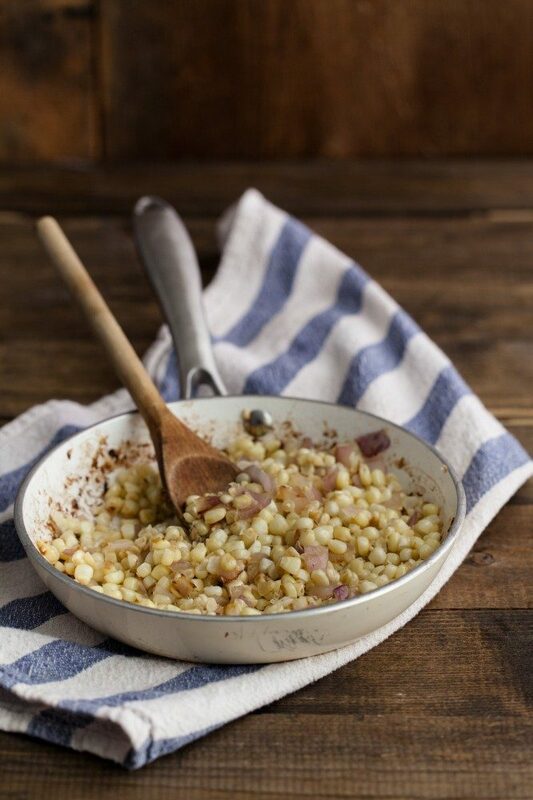 Definitely going to work this into our weekly routine, at least while summer corn is in season! These were delicious and easy to add to a bed of spinach for a filling, yummy salad! I absolutely love your recipes and find them so easy to substitute ingredients that I have lying around.